Genuine 94C Comet Industries Clutch. 1" Bore 1/4" Keyway. Comet 94C Duster Clutches use 1-3/16" top width belts. Arrives assembled. Contains (6) 206514 Pucks and a 205588 Pink Spring. Engages at approx. 1800rpm. Adjustable engagement with optional spring and roller kits. 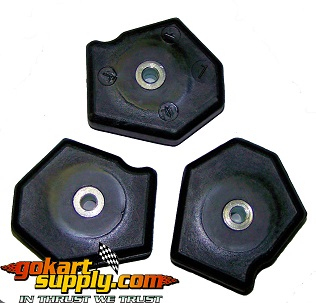 Comet 94C Duster Clutch for Honda Odyssey Conversion Kit and Ski-Doo Ski-Daddler Snowmobiles. Built for 4-cycle engines such as Briggs and Stratton, Honda, Kawasaki, Kohler, Tecumseh and Wisconsin Robin. Genuine Comet Factory Components. 9.91 Diameter. Uses a 1-3/16 Top Width Belt. Brown Tension Spring. Heavy Duty Brown 212102A Comet Cam Spring. Left Hand Wind. Requires INBOARD Mount. Optional Reverse spring available for Outboard Mounting on King Midget Cars. Replaces Salsbury. 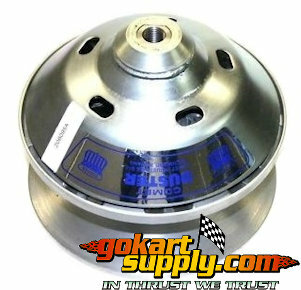 Comet Industries 90D Duster Series Driven/Secondary Clutch. 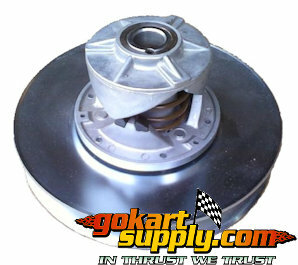 Use ONLY with Comet Industries 94C Duster, Comet 780, or other Comet 1-3/16 Belt Torque Converter Clutch.